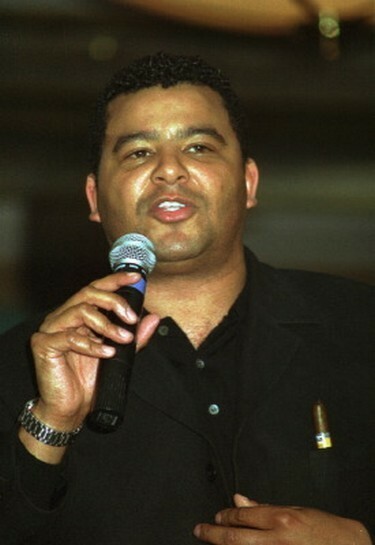 Malcolm pitt has been singing professionally since 1989 when he appeared on Sky TV with his soul band Times Square, who won 'Sky Star Search'. In 1990 they took part in the Manchester Evening News 'Search for a Star', and were runners up. Turn It Loose were highly successful, but with 11 people in the band, money was short, and so after three years with the band, Malcolm decided to leave and pursue a solo career. Malcolm would like to meet a songwriter with ambition with whom he could collaborate. After people said his singing voice sounded like Lionel Richie, Malcolm approached some agents, who said that he would be very successful if he could develop a Lionel Richie tribute act. This would mean he would move out of the working men's clubs and smaller venues, and into the Hilton Hotels, Village Hotels, and other upmarket venues, including the Cafe Royale. Soon he was performing all over Britain and Europe, including Turkey, France, the Canaries and twice a year, Marbella. Malcolm Pitt is the only recognised Lionel Richie tribute artist in the UK - and he is in much demand all over the country. In November 2000, Malcolm met Lionel Richie for the first time at the opening of the Printworks entertainment complex in Manchester. Malcolm had wanted to meet him for many years, and he describes the experience as 'rejuvenating'. He enjoyed the opportunity to say 'thank you' to Lionel Richie and to obtain his blessing for what he has been doing for the past three years. Malcolm's voice has evolved so that he does a soul tribute, including the voices of Barry White, The Drifters, Bob Marley and others. Demand is growing for this new show. Malcolm's perfomance is so good that lot of people think that he mimes. To convince the doubters, he often offers the microphone to members of the audience.